With fate so clearly on their side, is this finally the year Liverpool win the title? Andy Robertson whips a delicious ball onto the perfectly waxed head of hair possessed by Liverpool's Brazilian front man Roberto Firmino; the South American does the rest, glancing the ball past the ever-helpless Hugo Lloris to put the Reds in front just 16 minutes into this do-or-die clash at Anfield. Jurgen Klopp's men know a slip-up here against Spurs will more than likely cost them their first ever title win in 19 years, especially after rivals Manchester City eased past basement-dwelling Fulham in typical fashion just 24 hours earlier. Mauricio Pochettino's side are looking to spoil the party here, though, and after being pegged back so early on start to take the game to Liverpool, putting together a series of aesthetically pleasing passes but ultimately wasting the chance to draw level due to a lack of composure in the final third. Harry Kane is uncharacteristically quiet, he struggles to get into the game, which leaves the energy-infused Lucas Moura looking like the visitors biggest threat on a tense afternoon in the north west. A few mazy runs from the Brazilian attacker would've scared a nervous looking Jurgen Klopp on the sidelines, however they amount to nothing and half-time sees a chance to regroup, calm down, collect thoughts. The second-half kicks off and the game follows a similar pattern: Liverpool probe, Mohamed Salah's desperation for a goal starts to become farcical as the Egyptian looks to shoot from every single angle possible instead of feeding his team-mates. Tottenham still look dangerous, mind, silky passing and impressive link-up play between the midfield and attack has everyone watching on the edge of their seats. Then it happens, with 70 minutes on the clock, a scuffed shot from Christian Eriksen turns into a brilliant pass and sets up the arriving Lucas, who's finally got his chance to score a goal. The 26-year-old last found the net in a 5-0 rout over Bournemouth on Boxing Day, but this one is much more important. His tireless running is rewarded with a simple tap-in from close range and there it is, the leveller, 1-1 with 20 minutes left to play. Liverpool are flustered, Allison kicks the ball out of play for absolutely no reason, the title is slipping away, again. Spurs continue to look the more dangerous side, not content with a draw they press well out of possession and pop the ball off with comfort while the hosts scramble to win it back, unsuccessfully in most cases. The tense atmosphere surrounding Anfield since kick-off has now intensified, the clock continues to tick, blood pressure in the Kop end is at an all-time high. Too high, in some cases, a few fans may actually need to visit their local doctor this week. Tottenham's fluent passing results in a potential match-winning situation as Moussa Sissoko bares down on goal with Son Heung-min to the right of him and only Virgil van Dijk in his way of the goal. Just pass it Moussa, pass it to the better player next to you, you utter moron - the words going through every Spurs, Manchester United and Manchester City fans head, as well as big Virgil's. He doesn't, of course, as van Dijk expertly ushers him onto his left peg, which I presume is just for show, and the Frenchman forces a painfully uncomfortable shot away which balloons over the Liverpool crossbar and into orbit. Hit the target. You have to hit the target there. 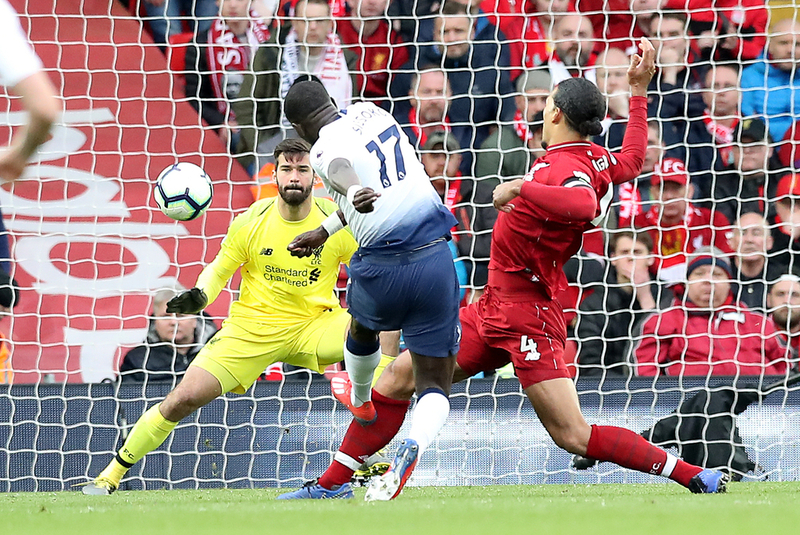 After this, everyone knew what was about to happen, for this season, despite a series of impressive attacking displays and resilient defensive performances, Liverpool have simply had luck on their side. Fate is guiding them to their first title win in almost two decades and there is absolutely nothing anyone can do about it. Riyad Mahrez skying the penalty at Anfield, Divock Origi's 96th-minute winner following Jordan Pickford's ridiculous blunder, Julian Speroni's all-round performance throughout the 4-3 win over Palace in January, it's not a coincidence - it is in fact the universe telling us something. With 90 minutes played, it finally happens, a corner ball cleared to the edge of the Tottenham box sees it immediately returned to the waiting Mohamed Salah at the back post. A meek header from the Egyptian forces Hugo Lloris to palm it (madness - just catch it?) onto the shin pad of defender Toby Alderweireld and the ball trickles across the line in ultra slow motion, 2-1. Elation rings true around Anfield, they've scraped another victory in the dying stages despite being second best throughout the majority of the game. 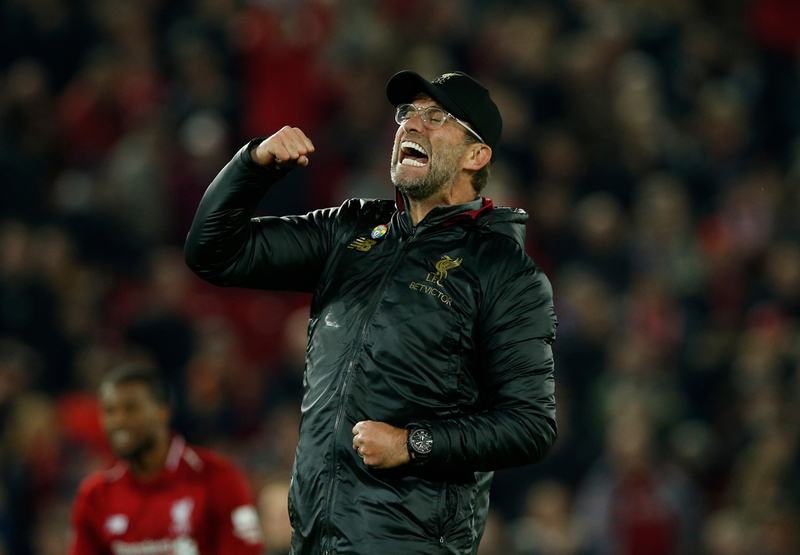 Liverpool have been exceptional for a lot of this ultra-exhilarating Premier League campaign; players like van Dijk, Alexander-Arnold, Robertson, Firmino and Mane have been flawless for the most part, but even the most die hard Reds fan wouldn't deny that luck is helping them along the way. And so what if it is? Liverpool have gone long enough without success, maybe times are changing and if they are then it'll be refreshing to watch unfold. Fate has a funny way of showing things, it can work in subtle ways. Not for Liverpool though, it's been clear as daylight and too obvious to deny. They're heading for the big time, barring any late slip-ups of course.